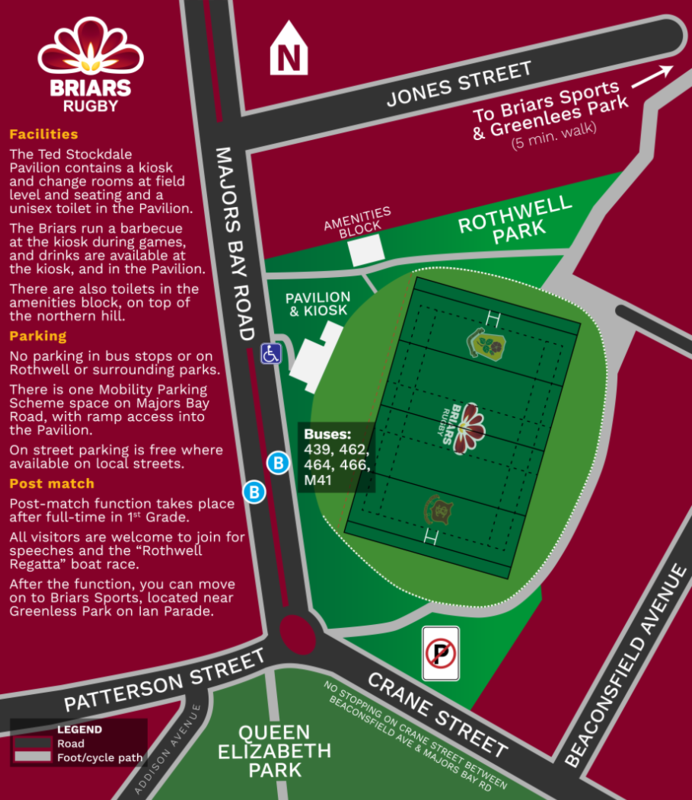 Briars home ground is ROTHWELL PARK, on the corner of Majors Bay Road & Crane Street, Concord. 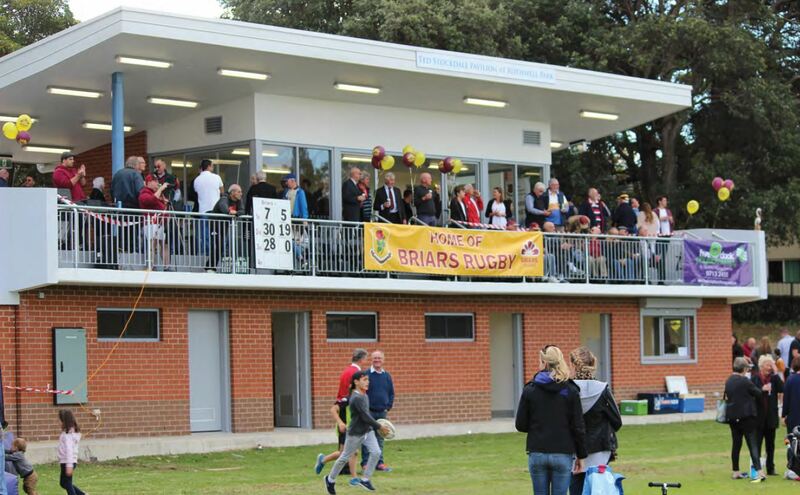 The image below shows the Ted Stockdale Pavilion at Rothwell Park on a Saturday. Rothwell Park was named after William Rothwell, who was the Mayor of Concord from 1924-26, 1929, 1932-33, 1945-46. Rothwell has been the Briars home ground since our establishment as a football club 99 years ago.